Malicious creatives, or malware, present a problem to publishers and the ad tech industry as a whole. The problem is huge: In 2016, Google disabled close to 900,000 ads due to malicious creative concerns. In the last two years, we have seen the amount of malicious creatives and mobile redirects, a precursor to malware, greatly increase in the digital ad ecosystem. Publishers get user complaints about malicious creatives, which can affect their brand reputation. Demand channels are commonly associated with experiencing malware issues, thus their brand image is harmed, as well. And users can have poor experiences, or worse, damaged systems. “Malvertising” is a complex strategy that makes use of programmatic ad exchanges to deploy malicious content through various channels. Malicious online ads are tricking programmatic exchanges into thinking they’re legitimate. They then use those exchanges to sneak in with their malicious ads before most vendors realize what has happened. When a malicious ad is carried by a high-traffic website, thousands of computers could potentially be exposed and compromised. Malicious ads may eventually be detected and removed but that is frequently only after computers have been impacted. The better approach is to filter out malicious ads before they get displayed on sites. This is where PubMatic comes in. 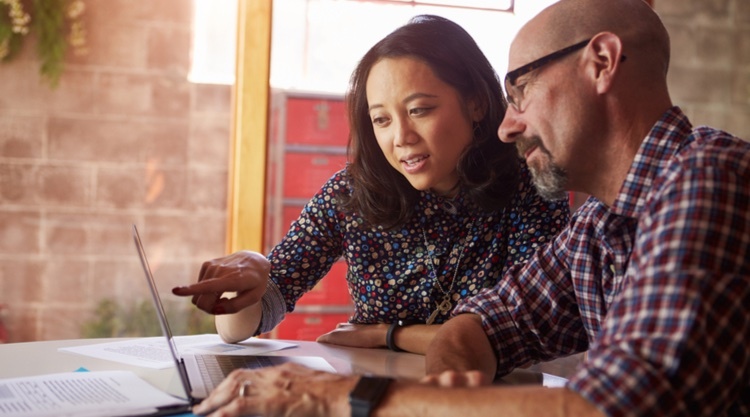 As brand spend in the digital ad ecosystem moves towards programmatic, it increasingly puts pressure on Demand Side Platforms (DSPs) to track various buyers and creatives using their platform. Additionally, since the programmatic pipes pass through Supply-Side Platforms (SSPs), the onus to eradicate malicious creatives is shared with SSPs. Dedicated ad quality ops team: We have a talented team who is monitoring ad quality alerts on an ongoing basis, so we can take immediate action to block unwanted creatives. Our team has a reactive strategy, involving contact with the errant DSP and a proactive plan to scan for likely violations. Innovative in-house solution: PubMatic has a real-time, automated solution to track every creative entering in our system. It not only scans for malicious creatives but also redirects auto audio and videos plus in-banner videos (IBVs), thus providing improved ad quality for clients. Strategic partnerships with industry leaders: PubMatic has partnered with industry leading ad quality enterprises like The Media Trust and Confiant. 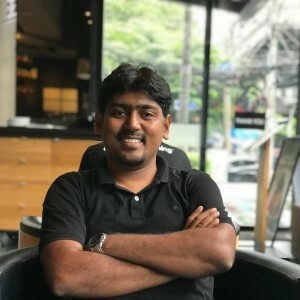 Their dedicated solutions not only scan tags and creatives, but they also provide alerts to PubMatic’s team to enable appropriate and timely action. PubMatic is on a path of continuous innovation with a goal to provide positive experiences for our clients. We regularly provide insights of the ad quality violations we have blocked to our clients in a monthly report. The April 2018 monthly report is available here. Our monthly reports highlight existing violations, already known in the ecosystem, and newly identified issues. In addition, after PubMatic notifies DSPs that have a history of violations, if no action is taken, we do not allow them to bid for impressions until the matter is resolved. 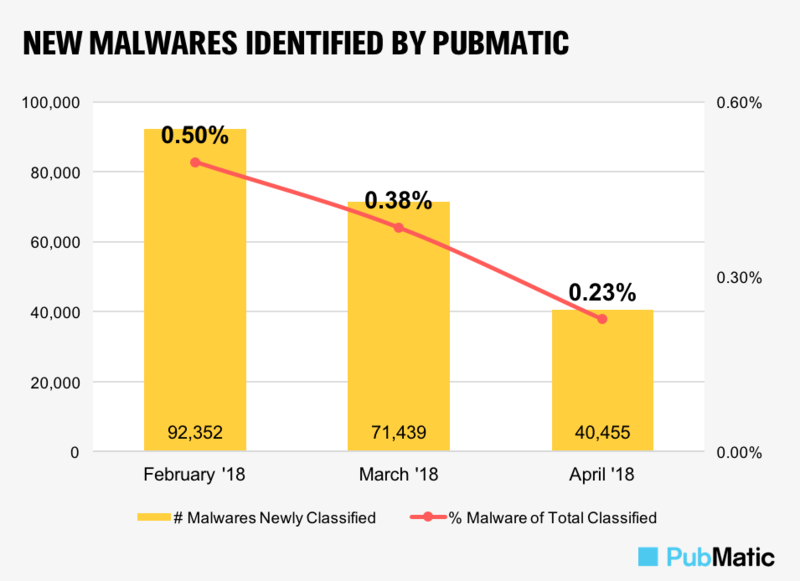 PubMatic scanned roughly 18 million creatives from February through April 2018, however, the number of new malicious creatives has more than halved from February (92,352) to April (40,455). Challenges are ahead—especially given the creativity of ad violators. The way to solve for these challenges is to identify new techniques and implement additional barriers for future encounters. After all, a hacker needs to identify just one way to penetrate the system; the protector has to solve for all possible scenarios. PubMatic is committed to innovating our processes and technologies to protect our partners and the ad tech ecosystem, as a whole. You can learn more about our solutions here or contact us to see how we might be able to partner with you.